The British newspaper, the Guardian, is reporting that a small UK based biotech firm, Oxitec, is running into public resistance to testing a genetically modified mosquito that may stop the spread of the species of mosquito that spreads dengue fever in the Florida Keys. Dengue fever is a disease caused by any one of four closely related dengue viruses (DENV 1, DENV 2, DENV 3, or DENV 4) that are transmitted by the bite of an infected Aedes aegypti mosquito, the most important transmitter or vector of dengue viruses in North America. The principal symptoms of dengue fever are high fever, severe headache, severe pain behind the eyes, joint pain, muscle and bone pain, rash, and mild bleeding (e.g., nose or gums bleed, easy bruising). Generally, younger children and those with their first dengue infection have a milder illness than older children and adults. Dengue hemmorhagic fever (DHF) is a more severe form of dengue infection. It can be fatal if unrecognized and not properly treated in a timely manner. 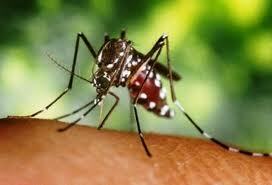 DHF is caused by infection with the same viruses that cause dengue fever. With good medical management, mortality due to DHF is still significant, but can be reduced to less than 1%. Oxitec’s plan was to release genetically modified males that would mate with wild females. Those females would produce offspring that would not survive to adults, because they require an antibiotic, tetracycline, in their diet, something that isn’t usually available in the the wild. Over time, with multiple releases of males, the population of the A. aegypti mosquito would fall to such a level that transmission of the dengue viruses would be stopped or reduced to a background level. The benefits of this type of control of the mosquito are tremendous. First, and most important, is that it avoids the use of pesticides which has infinitely more downsides to the environment than any imagined beliefs about genetically modified mosquitoes. Pesticides also have effects on other species of insects that are not an issue, or even other organisms including birds and mammals. To significantly reduce a pest like a single species of mosquito without pesticides should be considered a huge environmental win. Second, because the modified mosquito only lasts one generation, the net effect to the environment is only one generation, essentially 2-4 weeks, much shorter than any pesticide. But of course, the anti-science scare tactics are now spreading. In an article in Florida today, a local Florida Keys resident asks, “why would we not expect GM insects, especially those that bite humans, to have similar unintended negative consequences?” Well, despite using the slippery slope fallacy, because we have no evidence that there would be negative consequences, the assumptions made by this resident are just plain wrong. The released mosquitos are male, which don’t bite humans; even if they did bite humans, the gene isn’t transferred to humans; and even if somehow the gene was transferred into the human, the modified genes are for metabolism only, not anything else. So, this person invents fake science out of the blue, and fails to understand how a mosquito lives, because the simpler idea is to say “Franken-squito” rather than think through the science. So, the residents of the Keys are afraid of a brilliant way of reducing, maybe eliminating, the mosquito that carries a terrible disease. A fear of the unknown and a fear of science rather than on the facts. A fear without evidence. The company, Oxford Insect Technologies in its unabbreviated form, believes its technique is effective, cheap and far less damaging to the environment than the use of pesticides but its problem is the phrase “genetically modified” and the kneejerk fears it engenders. Critics see a ruthless corporate giant aiming to monopolise a market for commercial ends, which could have unknown effects on unknown things. For many critics, the mystery is often as potent as the evidence. Oxitec could not be more different from the multinationals. It employs 40 people, 35 of whom are scientists. It doesn’t have a public relations department, or even person, instead relying on Hadyn Parry and senior scientists to explain its work to the public. A small company, made up of mostly scientists dedicated to helping people, is probably the most harmless group of people in the world. They probably sit around a table thinking of every possible issue, thinking through the science as good scientists do. They seek out evidence, test the null hypothesis, before they test in the wild. Again, the anti-science attitude is that science is something this side of magic, two or three experiments in a test tube, then throw it in a human. That’s not how it works. Oxitec has been doing this for at least 10 years before trying to it in the wild. This isn’t a random idea in a random idea. One major issue, she (Dr Helen Wallace, the director of GeneWatch) says, is the occurrence of the tetracycline – the antibiotic that the young mosquitoes need to survive – in livestock and meat. Theoretically, if a female mosquito, daughter to a modified one, bit meat or an animal that contained tetracycline, she could survive. Anti-science beliefs also have negative consequences, but we can accurately describe and predict those with real science. We can predict that the hysteria of the vaccine denialists will lead to increases in deadly childhood diseases. And now we can predict that blocking a viable and environmentally responsible method of preventing dengue fever will either lead to more pollution in the Florida Keys or more deaths from dengue fever. That’s why anti-science hysteria is so frightening. The problem becomes even more acute as the climate changes, because subtropical weather moves north and new species of mosquitos are moving into countries that are not equipped to deal with these tropical diseases. Innovative, scientific solutions to stopping these diseases are necessary, and irrational anti-science beliefs are not helpful. I hope that saner minds will win out, though that rarely happens.